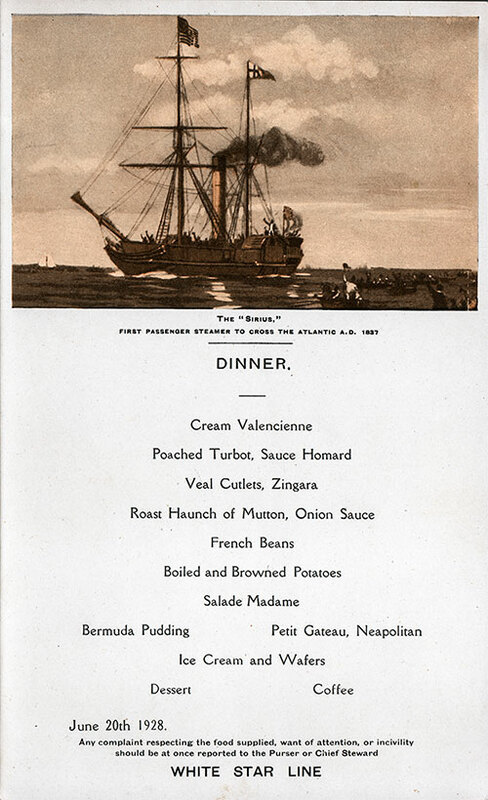 Vintage Dinner Menu Card from Wednesday, 20 June 1928 on board the RMS Albertic of the White Star Line. The menu featured Cream Valencienne, Poached Turbot, Sauce Homard, and Bermuda Pudding for dessert. 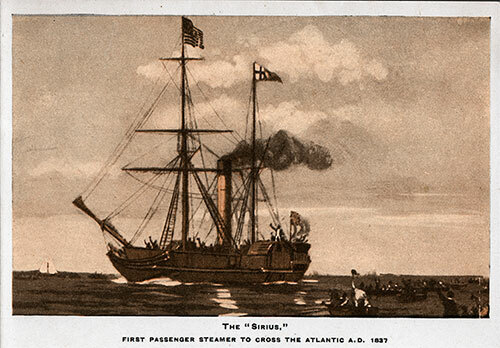 Illustration of the Sirius - First passenger steamer to cross the Atlantic. Any complaint respecting the food supplied, want of attention, or incivility should be at once reported to the Purser or Chief Steward.